The Standing Stone: Rath Cruachan, Mound, Toberrory, Co. Roscommon. 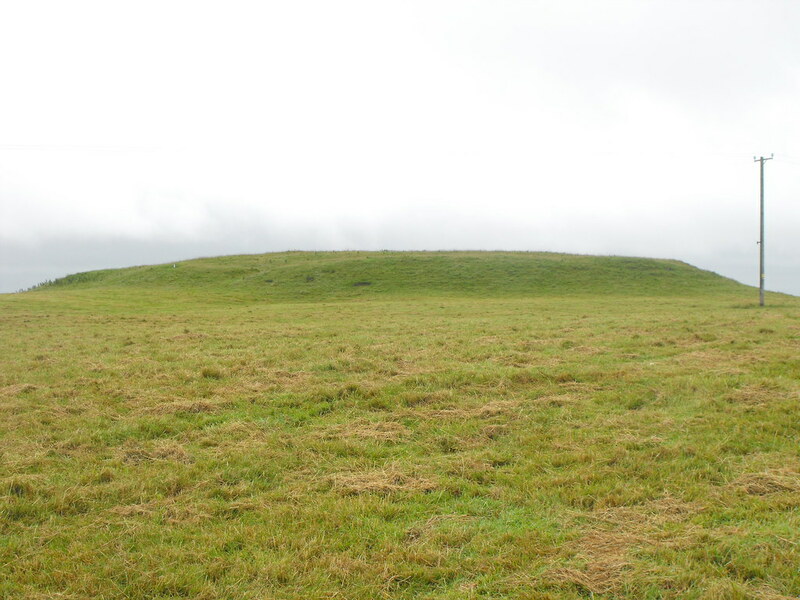 Rath Cruachan, Mound, Toberrory, Co. Roscommon. Location – Located NW of Tulsk on the N5 with plenty of parking. Description and History – This is the centre of the entire complex and is the focal point for all the other monuments. From all the other main sites this one is visible on the horizon. Everything is geared towards it. 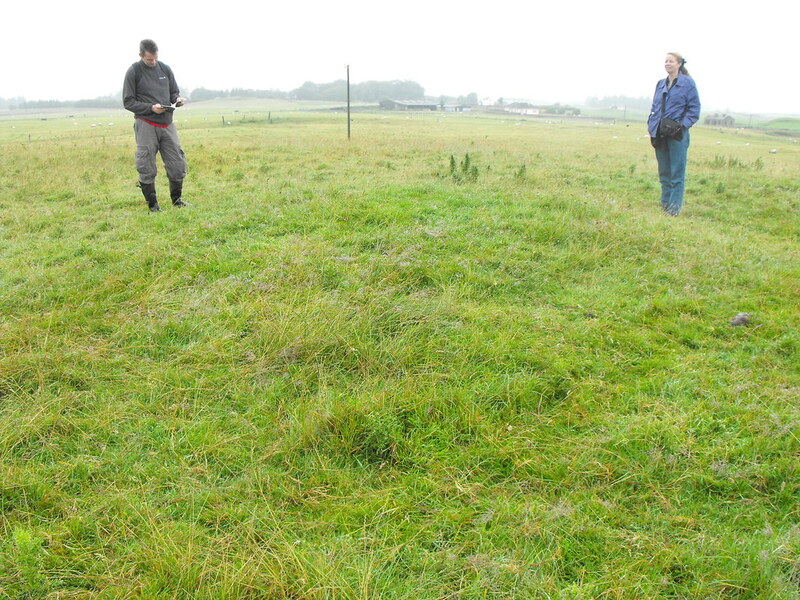 The knoll is circular in shape and about 4m high and 60m in diameter. 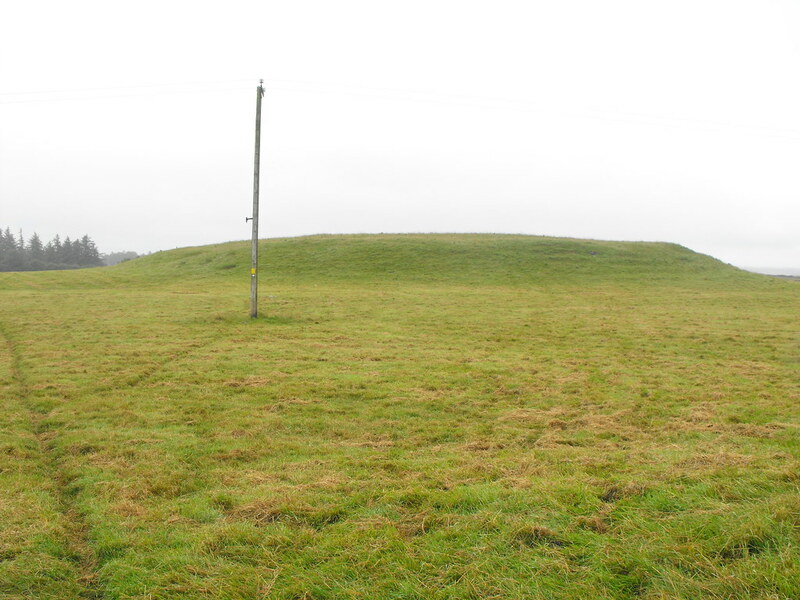 On top of the mound is a small barrow about 6m wide. Although it is huge its scale doesn’t come out in the photographs. Mounds and barrows never photograph well. 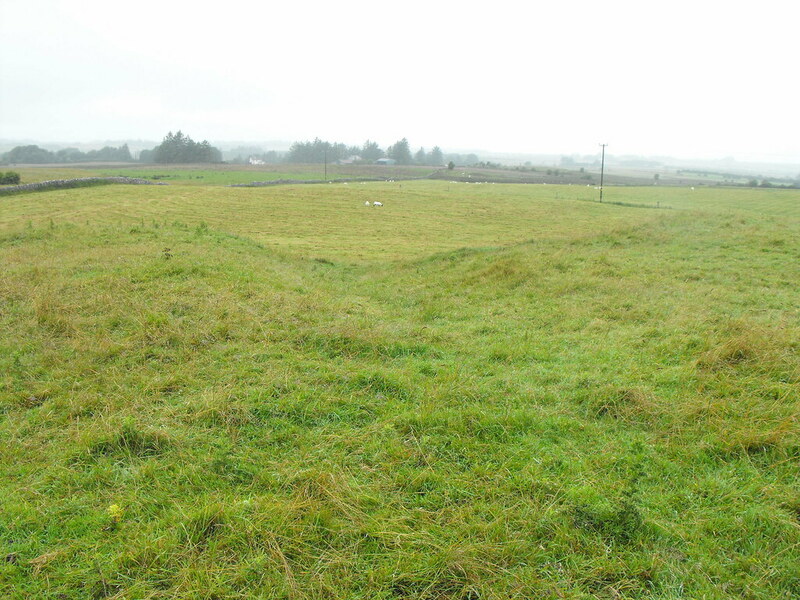 From here you can see many other mounds. Unfortunately when we were there it was rainy and visibility was poor. I would like to go back here in good weather. Difficulty – Easy to park and navigate. There is a barrow in this shot but it is hard to see. This may be part of a causewayed entrance.